A stylish extra heavy D shape wedding band for the big day. This 5mm, 9ct court ring is simplistic yet classic and makes for a stylish accessory designed to mark the start of your new chapter. Make sure your special day lasts forever with the wedding ring of your dreams. 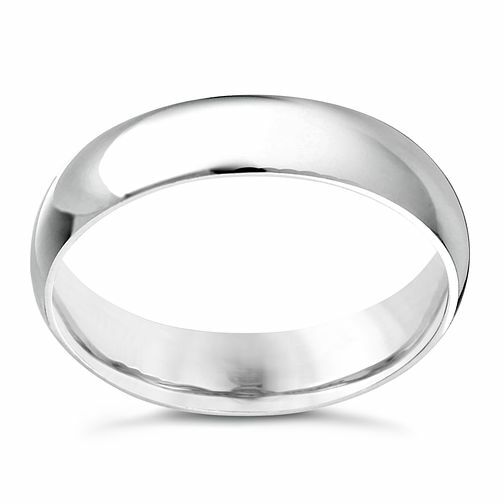 9ct white gold 5mm extra heavyweight D Shape ring is rated 5.0 out of 5 by 1. Rated 5 out of 5 by Anonymous from Really comfortable and stylish After losing my wedding ring I was convinced that a replacement would not be as good or feel like my old one. This ring fits perfectly and it feels like I have always worn it.